Hello everyone and welcome to Altenew’s Dynamic Die Cutting Release Blog Hop!! Today we are showcasing Altenew Dies. If you arrived here from the talented Joni Andaya blog, then you are on the right track. If you arrived here on your own, then you will want to start at the beginning, the Altenew Card Blog so that you don’t miss a thing! Shaped scrapbook albums are so much fun to make. Altenew Halftone Hearts Nesting Die Set is perfect for today’s project. Use the second large die to die cut two hearts out of Our Family Collection patterned paper. Use the same die to die cut 25 hearts out of white cardstock. Punch three holes using We R Memory Keepers Crop-A-Dile. With the We R Memory Keepers Cinch, bind the book together. Die cut two of the smaller hearts out of the same patterned paper. Stamp the sentiment on the smaller heart using the Heartfelt Sentiments stamp set. With the third largest heart die, die cut all of the photos and adhere them to the different pages in the album. Stamp a small sentiment a the bottom right edge of each photo. Have fun adding photos and sentiments. Altenew is giving away a $30 gift certificate to FIVE lucky winners! Please leave a comment on the Altenew Card Blog by Wednesday, October 31, 2018 at 11:59pm EDT for a chance to win. The winners will be announced on the Altenew Card Blog on Sunday, November 11th, 2018. In addition I have a $20 gift certificate to giveaway from comments left on this post by Thursday, November 1st at 11:59pm EDT for a chance to win. The winner will be announced on Friday, November 2nd, 2018. Hello everyone!! I’m here today using pattern paper to create a CAS card. Gossamer Blue is a monthly crafts club dedicated to inspiring and motivation memory keepers and crafters alike. Each kit is full of amazing goodies! Cut the card base to 4.25 by 11, scored at 5.50. Cut the pattern paper to 4.25 by 5.50. Adhered the pattern paper to the card front using Tombow Mono Adhesive + Permanent. Using Lawn Fawn Stitched Heart Envelope Die cut the small note card out of Bristol cardstock. Use the Mini MISTI to stamp the sentiment from The Stamp Market You Are My Fave stamp set on the die cut notecard using Versafine Onyx Ink. 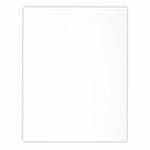 Add 3M foam adhesive to the note card and adhere it to the center of the card front. Nice, easy and a great way to use up pattern paper. What do you think? Please let me know below. I would love to hear from you. Hello everyone!! I’m super excited to be here today with the Where Creativity Meets C9 Blog Challenge Design Team!! This is our very first challenge and we couldn’t be more happier to share our love for Concord and 9th!! Exciting right!! I think so!! Are you wondering how my card ties in with the theme for this month. I am an out of the box crafter. I try not to go with the obvious. I’m celebrating LOVE!! Oh to love is a celebration, especially when you feel it in your heart!! We celebrate the love of our children, the love of our parents, the love of our sibling and the love of our life!! So I created a card that mirrors that celebratory feeling. Cut your cardbase to an A2 size card (4.25 x 5.50, scored at 5.50). Using Concord and 9th Give Thanks stamp set, stamp the heart using Clearsnap Colorbox Doodlebug Pigment Petal Point Ink. Stamp the heart three times, starting at the bottom with the lightest color, moving up to the darker color. Using the Mini Misti, stamp the second line of the sentiment first with Clearsnap Colorbox Archival Wick Ink. Re-ink if needed. Then stamp the love sentiment but inking it up with the same three colors, slightly overlapping each color. Once the pigment ink dries, use a paint brush and some black ink to add ink splatters over the entire card. Thank you so much for stoping by!! If you’ve been hopping along, you would have arrived from Laura’s blog and if you’d like to start from the beginning, you can click on over to the linky at the bottom of this post and start at Tracey’s blog. My favorite set from this release is the Wedding Bliss stamp set! The wedding dress is so pretty. I simple used Champagne Gold and Red Gold to watercolor the dress. Nice and simple. This card was simple to make as well. There was some embossing, die cutting and stamping in one color. I love the black and white look. So, what do you think? I had so much fun creating these cards to inspire all of you and show you the versatility of the stamp sets! Which one of these items are favorite? I would love to hear from you! Be sure not to miss any blog along the way, because one lucky commenter will have a chance to win a $25 YNS gift certificate. Winner will be announced on the YNS blog on May 4th. So don’t forget to leave a comment on each of the blogs participating in the blog hop. I’m here today with Your Next Stamp (YNS) and the Sketch and Color Challenge #33!! What do you think? Did I follow the sketch and the color photos? Let me know below. You have until March 17rd, 2016 at midnight EST to play along and submit your project on the YNS Blog post. One random participant will win a $15 gift certificate to the Your Next Stamp Store. If YNS stamps or dies are the focal point then the winner receives and additional $5 gift certificate f0r a total of $20. The winner will be announced on the YNS Blog the Sunday after the challenge closes.